Understand the application of core values that make digital marketing work best, in addition to five key components of the Digital Path to Success model leveraged by Room 214 (research & insights, content, campaigns, community and measurement). Discover the value of social listening to mine large volumes of online conversation about any given subject matter. Recognize the effectiveness and pitfalls in today's influencer marketing practices. Leverage a proven, step-by-step method for generating new ideas. Understand the value of personas, storytelling in marketing, content themes and categories to help you prioritize efforts. Learn about the most important questions to ask when planning a campaign strategy. Dig into a campaign brief, and understand planning techniques from a paid, owned, earned and social context. Get a better understanding of inbound marketing practices, with a helping-not-selling approach that leverages automated lead scoring and nurturing methods for scaling business-to-business sales. Know what the advantages are of creating and managing an online community that's separate from a mainstream social network. Understand the elements of "gamification" to help drive participation. Command a greater perspective on the big picture of using metrics and data to drive results. Understand a few key tracking attributes of Google Analytics, and consider new approaches to getting insights from data. Recognize how a return on investment goes beyond generated revenues. Understand elements of attribution modeling, lifetime value and customer acquisition cost formulas to keep your eyes on the ball. brings you directly to the intersection of modern marketing and business growth. This is an insider’s view into what forward-thinking marketing agencies and companies do to help brands connect with the people who matter most (their current and prospective customers). Transformative Digital Marketing offers proven practices developed through decades of relevant digital marketing and social media agency experience with leading companies in multiple industries. Whether your focus is marketing for brand awareness, business lead generation, product launches or consumer sales – discover practical approaches you can immediately apply to help keep and create your competitive advantage. Discover more about universal principals that apply to digital marketing and social media across business-to-consumer and business-to-business focused industries. Know more about marketing automation and inbound practices to improve lead generation, sales and customer service. Apply key practices and metrics that create rapid cycles for analysis and improvement of campaigns during execution. Enjoy real-world examples, insights and step-by-step considerations for improving your current efforts across multiple digital marketing channels. 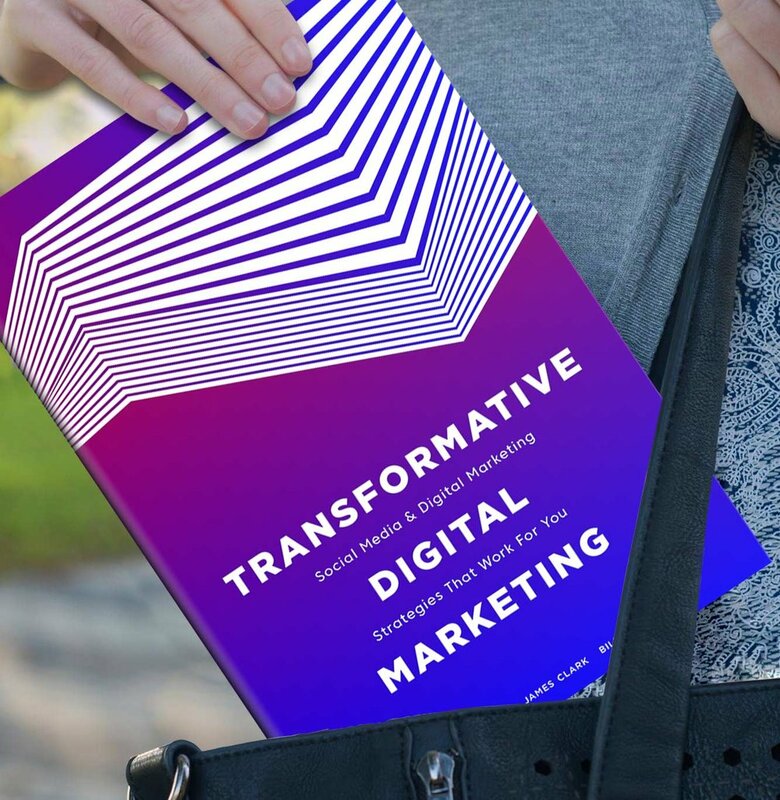 Whether you are knee-deep in daily marketing operations or sky high in quarterly performance discussions, Transformative Digital Marketing will help equip you to lead and execute on your own path to marketing greatness. Buy on Amazon now.